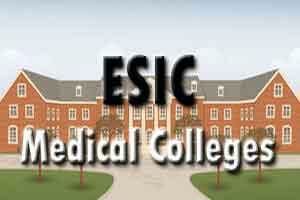 Himachal Pradesh Health and Family Welfare Minister Kaul Singh on Wednesday informed the assembly that the government is keen to take over ESIC Hospital and Medical College in the state but it has run into a financial row. “The state is ready to take over the college but the issue is stuck on the 10 percent interest of Rs.285 crore for purchasing college equipment,” the minister said. He said the government has agreed to pay Rs.285 crore in installments but the interest part should be waived off. “I will request the Bharatiya Janata Party (BJP) members to take up the issue in this regard with its National Democratic Alliance (NDA) government,” he said. Spread over an area of more than 31 acres on National Highway 21, the Employees’ State Insurance Corporation (ESIC) near Mandi town had already spent Rs.765 crore on the building and its infrastructure. It has not been made functional so far. Replying to a question by BJP members Gulab Singh and Jai Ram Thakur, the minister said the medical college was announced by the previous United Progressive Alliance (UPA) government in 2007 but the successive BJP government had withdrawn the notification. He said the college building was inaugurated on March 5, 2014, and a Medical Council of India team had also inspected the building. However, later when the BJP-led National Democratic Government came into power and decided not to go ahead with the ESIC colleges. He said the state government was willing to start the classes from August this year, if the issue is sorted out immediately. Leader of opposition and two-time chief minister Prem Kumar Dhumal said the Congress government had played politics on the college and had got it inaugurated just before the parliamentary elections to take the credit before the polls.